Obituary for Martha Rosner | Swan Valley Funeral Services Ltd.
Martha was born July 7, 1927 in Wjasowitz, Ukraine. She was the youngest of six children born to Assaf and Meta Pletz. In 1929, the family was forced from their homestead. Life was hard during the Ukraine Famine and World War II. In 1945, after a treacherous journey out of the Ukraine, the family finally arrived in Germany. Here they lived and worked for three years, finally acquiring permission to sail to Canada in March 1948. On July 17, 1948, the family arrived on the Beaverbre ship into Pier 21 in Halifax, Nova Scotia. It took three days by train to arrive in Winnipeg, Manitoba. In Winnipeg, Martha and her sister, Linda, lived together for several months, having found employment at the Hunter Cheese Factory. Martha became a member of McDermot Avenue Baptist Church and enjoyed spending time with other immigrant youth from the church. On April 11, 1949, Martha married Samuel Rosner at McDermot Baptist Church. The day after their wedding, Sam and Martha left for their home in LeRoy, Saskatchewan. Martha helped Sam on the farm and always had a big garden. She also loved to cook, bake, sew and knit. She became a member of Temple Baptist Church in Jansen, Saskatchewan and was active in the Women’s Ministry. She had been baptized in 1942, in Wjasowetz, Ukraine by Pastor Hornbach. Martha and Sam retired from farming in 1974. They continued to reside on the farm until 1989, at which time they moved to Lanigan, Saskatchewan. After Sam passed away in December 1991, Martha remained in their house. She always had and continued to enjoy hosting guests and visiting with family and friends. Her days were always full and busy. In July 2011 Martha moved to Swan River, Manitoba, to be closer to her daughter and family. Here Martha enjoyed her new apartment and made many new friends. Days were spent visiting with others in the building, many times over coffee in her apartment. 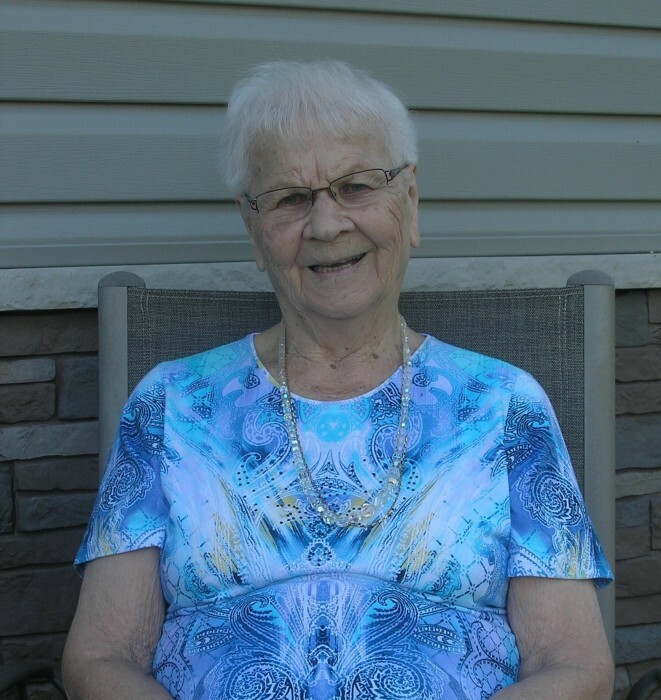 As her health deteriorated, Martha moved into the Personal Care Home in Swan River in December 2017. Though this was a hard move, she adjusted to her new surroundings over time. Here she continued to enjoy socializing with the other residents and staff. She received excellent care here until the time of her passing. Martha was predeceased by her husband Sam, her parents and all her siblings. She leaves to mourn her daughters, Karen (Terry) Reid of Brampton, Ontario and Monica (Lorne) Muller of Minitonas, Manitoba; seven grandchildren, Melanie (Jason) Corrigale, Christine (David) Horowitz and Dana (Dhiren) Khatri; Brad (Karissa), Arlana (Mitch Wittington), David and Bryce Muller and four great grandchildren. We would like to thank ALL the staff at the Personal Care Home for the wonderful care that Mom received during her time there. Words can’t even come close to expressing how much your care for her meant to us. The funeral service was held from Temple Baptist Church, Swan River, Manitoba on Saturday, February 2, 2019 at 11:00 a.m. with Pastor Neal Effa officiating. If friends so desire, donations in Martha’s memory may be made to the Temple Baptist Church Memorial Fund, Box 441, Swan River, Manitoba R0L 1Z0.